Want to open your heart to the fullness that is YOU? Want to SING the song of the soul that wants to sing through you? Want to STEP UP in radical self love, self confidence, self respect? Want to be all that you are WITHOUT FEAR, self judgement, self criticism? Activate, Awaken & Empower Your Soul's True Voice. The Voice of Your Spirit, Your Essence, Your Truth. he Embodied Harmonious Resonance That Sings THROUGH you. Liberated, Powerful, Clear, Strong & Free. What is ELEMENTAL VOICES 6 WEEK SOUL VOICE ACTIVATION COURSE all about? The fully awakened voice of the soul is the way our true spirit expresses the essence of who we really are to the world. Through our unique expression, sound, vibration, language, truth & resonance without the limitations of conditioning, beliefs, dogma or shame programs we can totally access this powerful healing tool! One of the best way to access our own unique & beautiful way of expressing ourselves is through sound & healing any blocks we may have in accessing & expressing the truth of who we are by unlocking this powerful instrument that vibrates within each of us, THE VOICE! 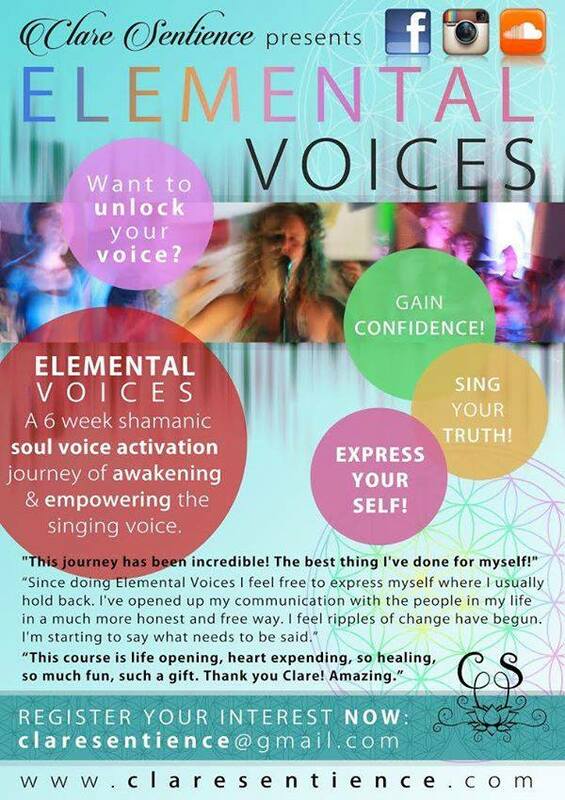 This can be done through specific toning, chanting, ritual, movement & breath practices, guided meditation, dance, shamanic based sound & vibrational healing practices and much MUCH more all found within the SOUL VOICE ACTIVATION course ELEMENTAL VOICES! 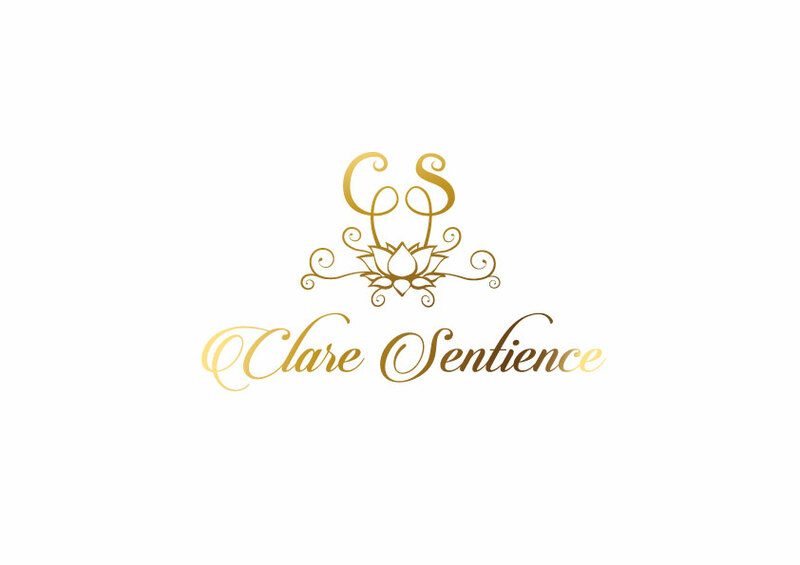 Clare Sentience specializes in facilitating a space where open minded, heart centered, unique & passionate individuals who wish to SING with courage, confidence, passion and power can totally activate, awaken and fully empower their souls own potent and powerful voice!!! 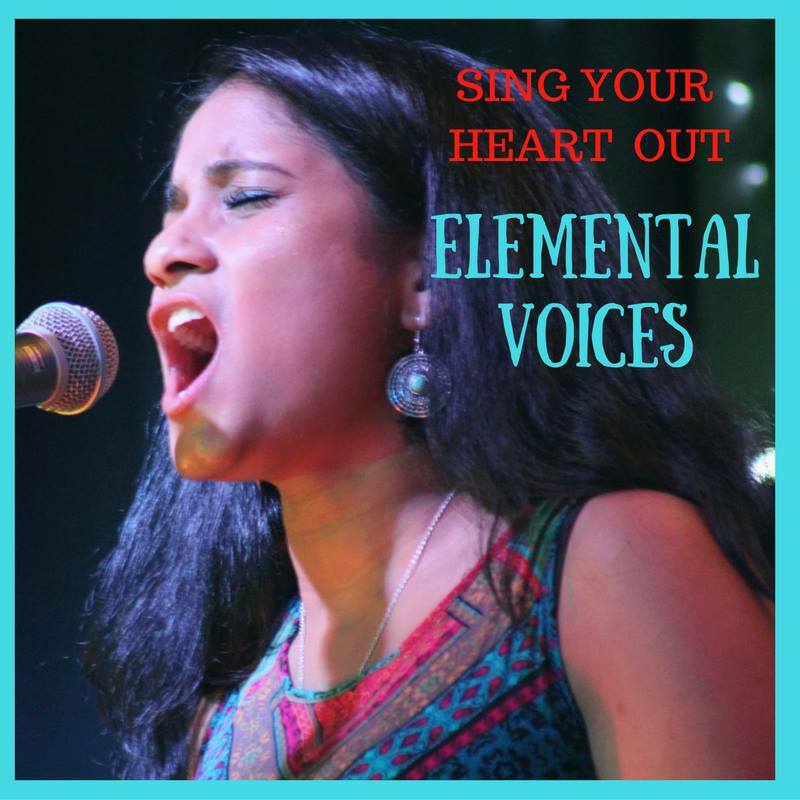 Elemental Voices is a six week journey of self discovery in which individuals come together in a private, sound proof setting to fully awaken our SOUL'S VOICE through creative expression, radical honesty, divine harmonious singing and speaking our ultimate truth. 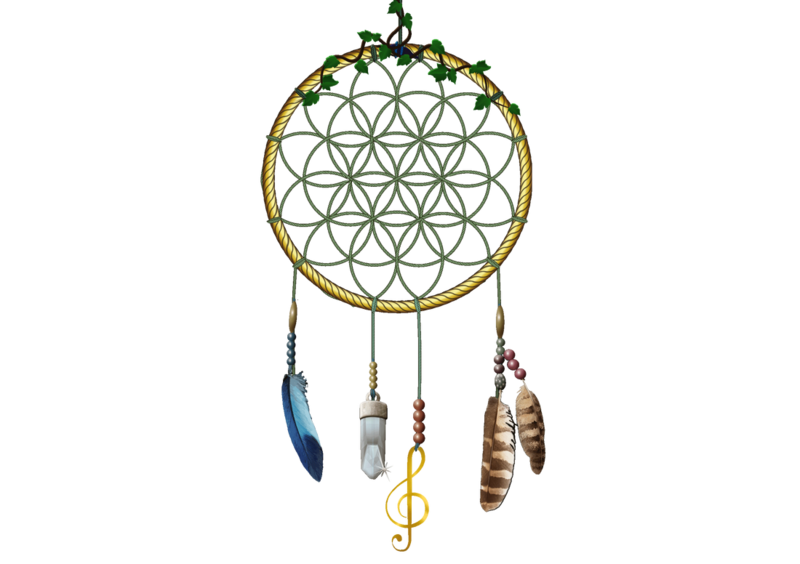 Elemental Voices aims to cater for singers of all ages in all degrees of experience, by assisting individuals to reach their fullest potential by journeying through the medicine wheel and the elements on a shamanic journey of awakening, healing, transformation and personal development. This course is undeniably a journey of radical self love & empowerment, where participants may express the fullness of their voices in all their glory in a safe, nurturing and supportive environment. 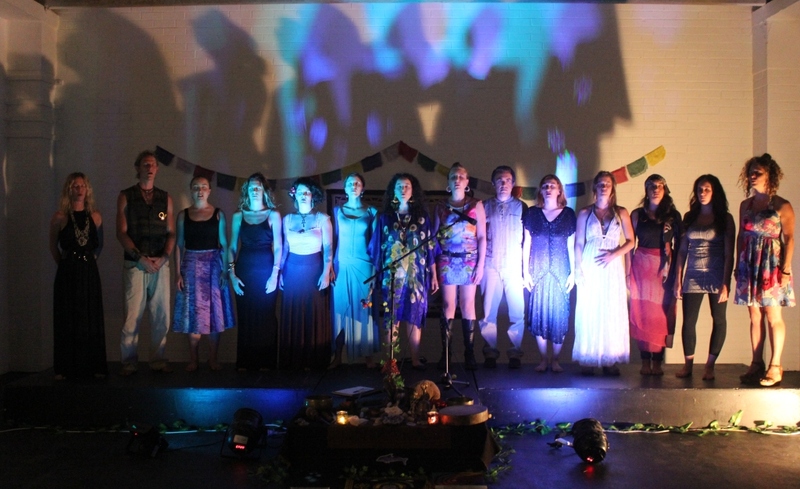 Graduates are invited to join The Activated Choir which is a collective of graduates from the Elemental Voices course which continues the connection, empowerment, singing and performing opportunities for singers to continue the journey after graduating the Elemental Voices course. A variety of short courses & workshops are also available throughout the year at various lifestyle festivals and events. Clare Sentience offers a range of programs to suit singers of all ages & degrees of experience. "This course is transformational, powerful, all encompassing. An opportunity to peel back the layers to self and start living authentically in full expression regardless of barriers"
"Elemental Voices is Inspiring! Just what the world needs. Thank you Clare, deep gratitude to you sister. I look up to you so much and you have transformed my life in so many areas. You are beautiful." "This journey has been incredible! This is the best thing I've done for myself!" "Since doing Elemental Voices I feel free to express myself where I usually hold back. I've opened up my communication with the people in my life in a much more honest and free way. I feel ripples of change have begun. I'm starting to say what needs to be said." "I now fully trust my soul voice and give myself full permission to sing with my whole being. I'm ready to share the gift of my voice with the world. I am now an empowered, activated being with a powerful voice! This journey has been incredible!" "This course is life opening, heart expanding, so healing, so much fun, such a gift. Thank you Clare! Amazing."